National Basketball Star and Olympian, Mobolaji Akiode presents gift to Otumba Gbenga Daniel during a courtesy call paid on the Ogun State Governor by participants of the Hope 4 Girls Africa Foundation. 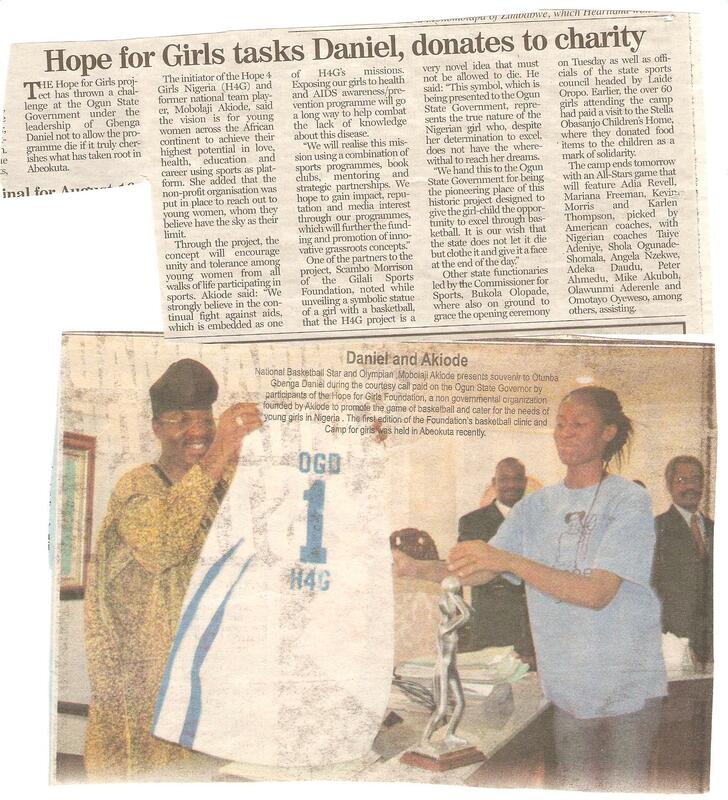 H4G is a nongovernmental organization founded by Akiode to promote the game of basketball and cater for the needs of young girls in Nigeria. The inaugural camp was held in Abeokuta.